Seven new Spectre/Meltdown flaws, two new bluetooth vulnerabilities, and a new vulnerability in Intel processors. 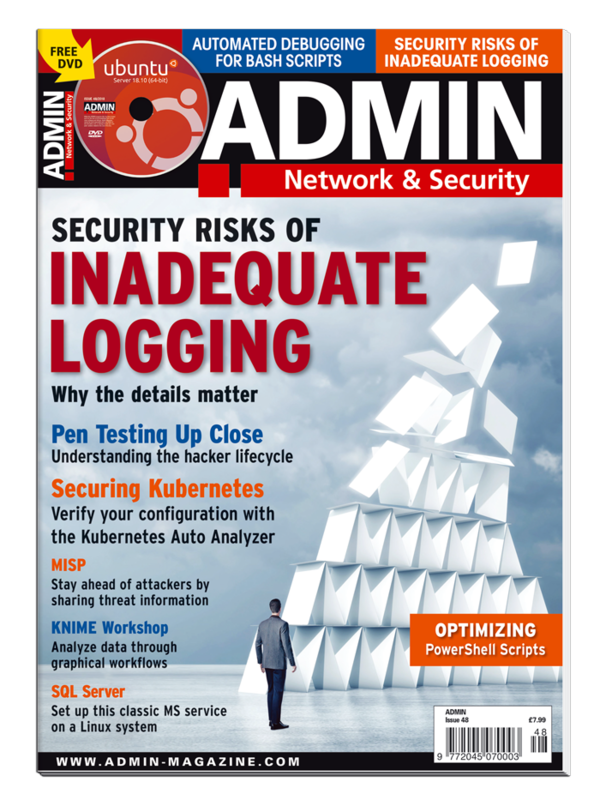 Although inadequate logging and monitoring cannot generally be exploited for attacks, it nevertheless significantly affects security. Recognize patterns in and draw conclusions from large datasets with the freely available KNIME open source software. The VyOS Linux distribution puts network routing, firewall, and VPN functionality together for a fully working dynamic multipoint VPN router. This freely available counterpart to Ansible Tower offers a GUI and options for an organized and structured approach to Ansible, with user management, reporting, and workflows. Share HPC systems among several users with the open source, scalable, and easy to install and customize Slurm job scheduler. Microsoft developers made their massive SQL Server database system Linux ready; we'll help you set it up on your Linux system. When PowerShell one-liners become full-blown scripts, it's time to look at PowerShell best practices for script design, notation, error handling, and documentation.